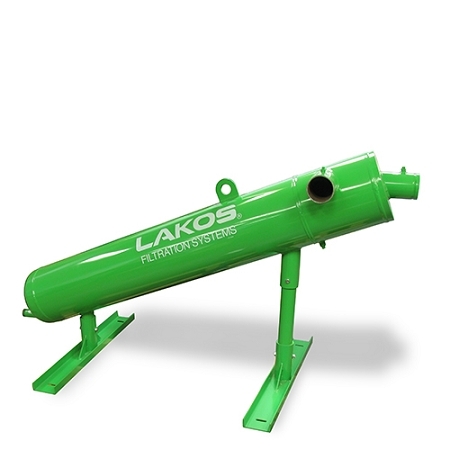 The removal of specific unwanted sand from a pumped/pressurized water system shall be accomplished with a centrifugal-action vortex separator. Sand removal efficiency is principally predicated on the difference in specific gravity between the sand and the water. Performance is expected to be 98% removal of 74 microns and larger. Additionally, particles finer in size will also be removed, resulting in an appreciable aggregate removal of particles (up to 75%) as fine as 5 microns. Separator performance must be supported by published independent test results from a recognized and identified test agency. Standard test protocol of upstream injection, downstream capture and separator purge recovery is allowed with 50-200 mesh particles to enable effective, repeatable results. Single-pass test performance must not be less than 95% removal. 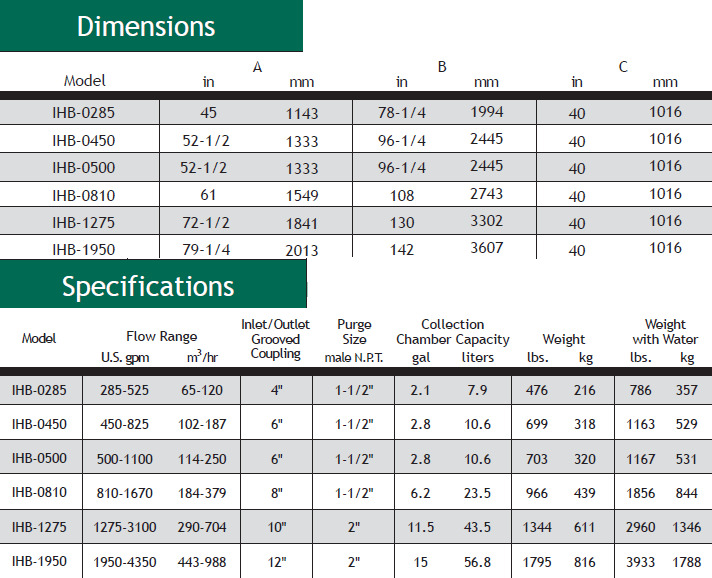 Model tested must be of the same flow-design series as specified unit. A tangential inlet and mutually tangential internal accelerating slots shall be employed to promote the proper velocity necessary for the removal of the separable sand. The internal accelerating slots shall be spiral-cut (Swirlex) for optimum flow transfer, laminar action and particle influence into the separation barrel. The separator s internal vortex shall allow this process to occur without wear to the accelerating slots. Separated particle matter shall spiral downward along the perimeter of the inner separation barrel, in a manner which does not promote wear of the separation barrel, and into the solids collection chamber, located below the vortex deflector plate. 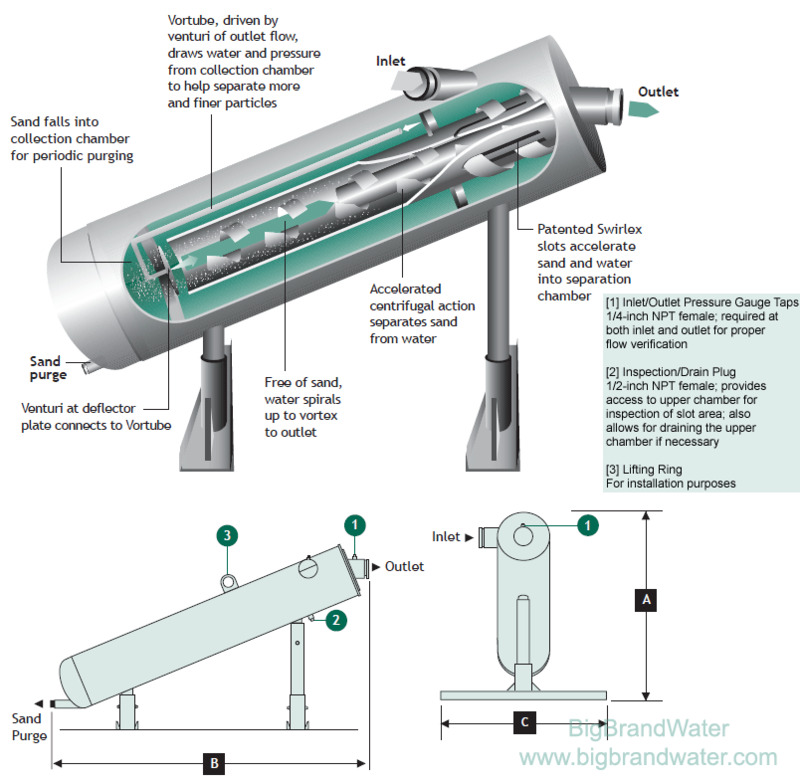 To ensure maximum particle removal characteristics, the separator shall incorporate a vortex-induced pressure relief line (Vortube), drawing specific pressure and water from the separator s sand collection chamber via the outlet flow s vortex/venturi effect, thereby efficiently encouraging sand into the collection chamber without requiring a continuous underflow or excessive system water loss. System water shall exit the separator by following the center vortex in the separation barrel and spiral upward to the separator outlet.